Today is World Down Syndrome Day! The 8th Annual, in fact. It is a day to celebrate the lives of those born with a third copy of their 21st chromosome, which is why it falls on this day (3/21). More importantly, it is a day to commemorate the achievements–big and small–of those born with Down syndrome and to show the world that our loved ones are people first…diagnosis later. Courage? Why? Because my heart will swell twice it’s size with never ending love for my next child? Because I will be blessed with the gift of another beautiful daughter? It took me more courage to stand there and face her (while maintaining control of my hormones) with class and tact than it ever took for me to “decide” to have more children. I told her that we are thrilled to continue to have more children. With that, she walked away. First and foremost, I do what I do for my daughter. I advocate and I love. Second, I do what I do for people like the women at the book signing because there are times when this world needs it. At the beginning of the month, we attending the IDSC Kick Off to World Down Syndrome Day Meet Up at the Great Wolf Lodge in Wisconsin Dells. Surrounded by families with similar circumstances, we celebrated everything that makes our loves ones who they are! We embraced the characteristics that might separate them from everyone else. And this little lady loved every minute of it! A BIG thanks to IDSC for all of their hard work to put this amazing weekend together! An even bigger thanks for their continued efforts in speaking out for Down syndrome and bringing awareness to the rest of the world! Today, especially today, please know what this day means to millions. We are a strong community moving mountains. We will celebrate that all life is precious and valuable. We all want the same for our loved ones who carry an extra 21st…unlimited opportunity and the chance to show what they are capable of–a life without boundaries where they are encouraged to dream big and flourish, one where a chromosome does not define a being. To honor World Down Syndrome Day, the colors blue and yellow can be worn as symbols of awareness and respect for those with Down syndrome. 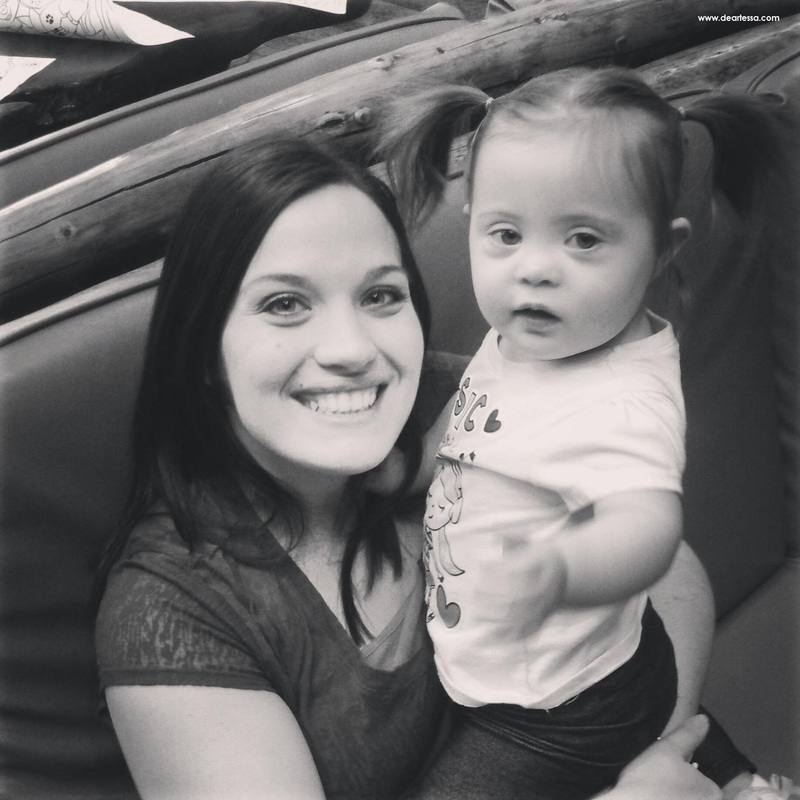 If you could tell the world one thing about someone you know that has Down syndrome, what would it be? 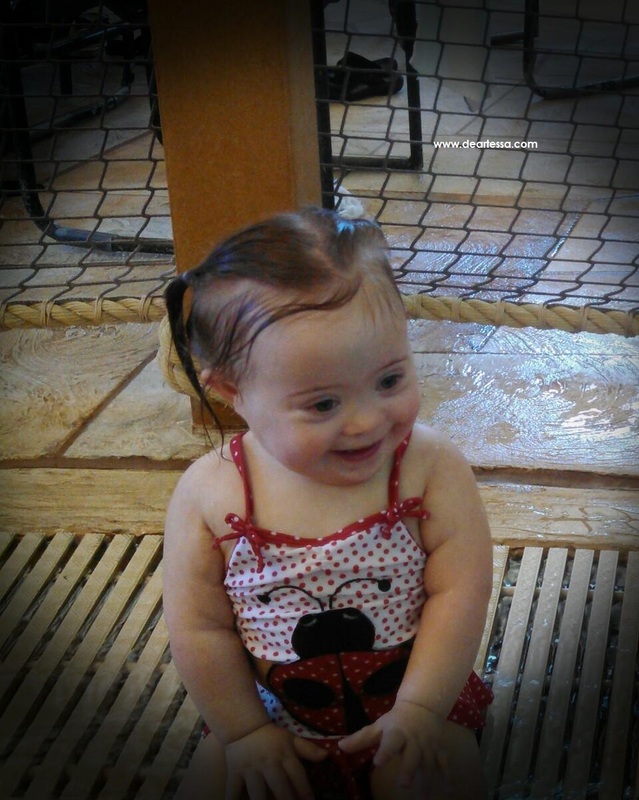 Tessa Jo Carey is a truly remarkable being, not because she has Down syndrome, but because she just is. Have a great day today Tessa !! your very special little girl ! with a remarkable Mother. Wonderful blog, its really inspiring for me to read from other families who share this journey. This is the first year that World Down Syndrome day has had such meaning for us. I am so happy to see all the information, awareness, and sharing of stories going on today! I really appreciate and respect all you’ve said here. It truly is wonderful too see the joy all of our loved ones give to us and to the rest of the world! Thanks for reading!! I would tell them that our lives are BETTER because of Down syndrome – that they would be lucky to experience the change in perspective that accompanies loving someone with a disability. LOVE THIS! Thank you for sharing with us! !